INTERESTED IN BIG BABY BAND? 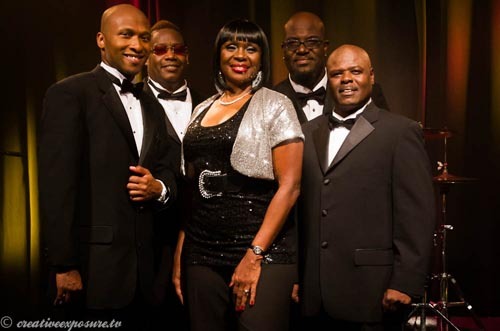 Big Baby Band is a high-energy dance band that has toured the Southeast for over 10 years. They combine seasoned musicianship with electrifying showmanship to create an unforgettable party. They play almost every genre including Motown, Rock, R&B, 80's, Rap, Beach and County. They have played for such high-end clientele as The Atlanta Braves, Woodruff Arts Center, The World Congress Center, Tracy McGrady (pro basketball star) and Arthur Blank (Atlanta Falcons owner). They have played countless weddings at almost every venue in the Southeast and show no signs of slowing. They aren't happy until the dance floor is packed, and work hard to keep the party going. Book Big Baby band now, you'll be happy you did! I really enjoyed Big Baby Band, and so did the crowd!! They were so great to work with! Thanks again. ECE is the largest, full-service entertainment agency in the country, arranging unforgettable entertainment and producing custom events from coast-to-coast and around the world. From weddings and social galas to college concerts and business entertainment, we make your event a once-in-a-lifetime experience!